Most of today's cars, vans, motorbikes and commercial vehicles have a central computer. Known as an ECU, it controls pretty much everything from the fuel injection to the braking system. And things sometimes go wrong with it. If you have any warning lights or messages on your dashboard, chances are it's the ECU that's caused it. You need to bring in to our garage in Deeside, North Wales, to fix it. 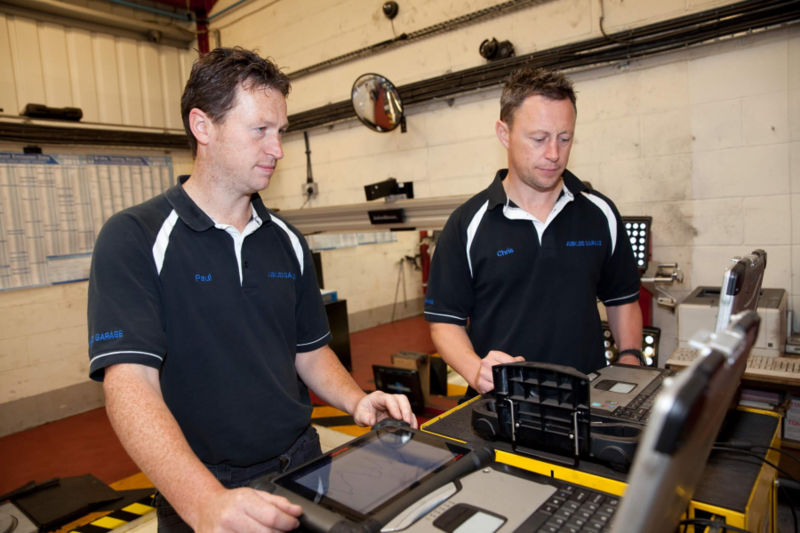 We can diagnose and repair computer diagnostic faults on any vehicle regardless of its make, model or how many wheels it's got. At Jubilee Garage, we use the latest diagnostic equipment to find out what the problem is, and, more importantly, sort it out quickly. A diagnostic check may be a part of your annual service too. Where this is the case, we'll hook our machine up to your vehicle and run through the recommended tests. This will form part of the quote we give you to service your vehicle. Whether you need a computer diagnostic check because a warning light's appeared on your dashboard as a routine part of your service, call Jubilee Garage. You can contact us on 01244 819 519 or send us an email.